LINIAN to showcase SuperClips at the Elexshow Coventry 2 weeks today! Team LINIAN are attending the Elexshow Coventry on the 20th and 21st September at the Ricoh Arena – the second last show of the year! 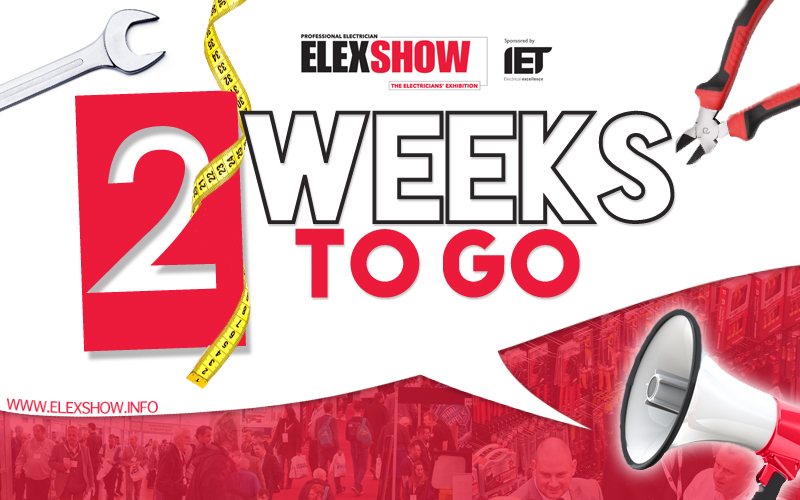 As the UK’s dedicated tradeshow for electrical contractors, the two-day event is expected to attract tons of companies. Ian Arbuckle, Managing Director at LINIAN explains why people should visit their stand: ‘As well as being the only full compliant, single component, time saving solution – LINIAN Fire Clips have been tested to withstand high temperatures in multiple scenarios including mechanical shock. We are always reviewing, testing and refining our range so are delighted to be able to showcase our newest product – the LINIAN SuperClip™! The new range of products (which like are entire range are 18th Edition compliant) are available up to 25mm diameter and are suitable for larger cables and conduits. Manufactured from heavy gauge steel, they provide a robust, quick to install and fire rated alternative to traditional cleats and saddles with a single component installation. These shows are the ideal way to show people what our products are all about. I could talk all day long about the benefits but you are best to see, feel and try the product for yourself. If you are attending, we would encourage you to visit Stand E24’. LINIAN truly believe Fire Safety should be a right, not a privilege and we have taken the most innovative steps to ensure that even the smallest components within the design and installation process of a building comply with wiring regulations and prevent premature collapse of cables’.